I really love to keep my house festive, and with the house remodel, I bypassed Christmas and went to winter. I love the frosty, blues of winter! Sadly the weather isn't cooperating here in California, with 70's the norm, but I can only dream. 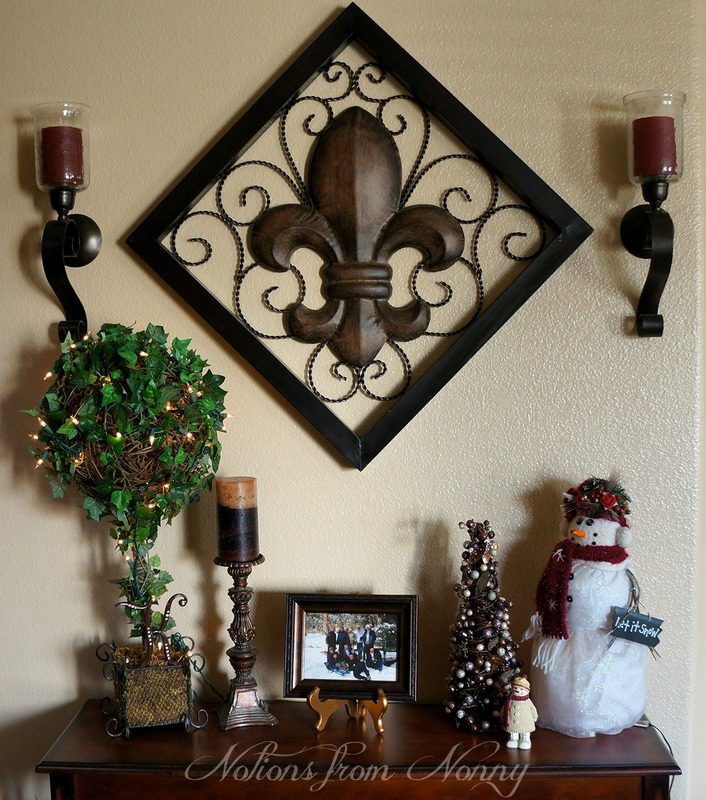 I didn't want to spend a lot of money to decorate, so I incorporated things I already had. 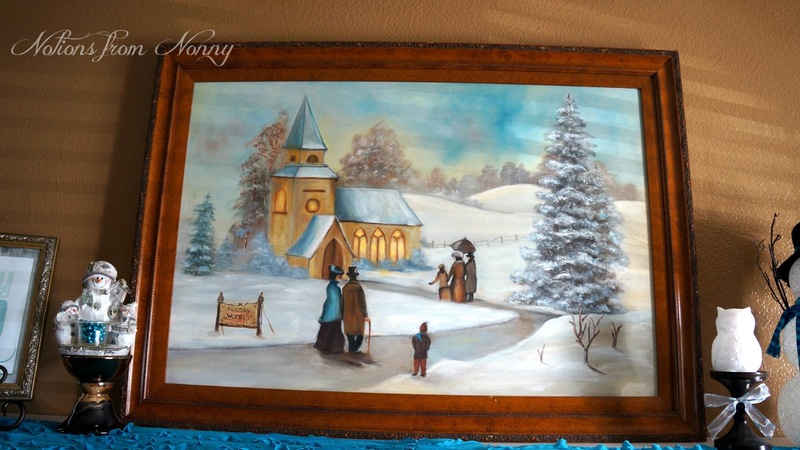 I used this winter painting as my focal point for my mantle. 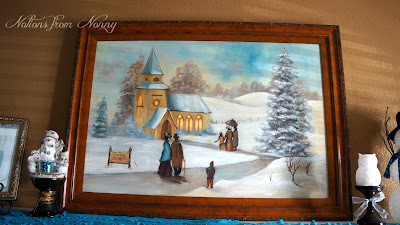 My husband's uncle painted it. Isn't it beautiful? He is one talented man! 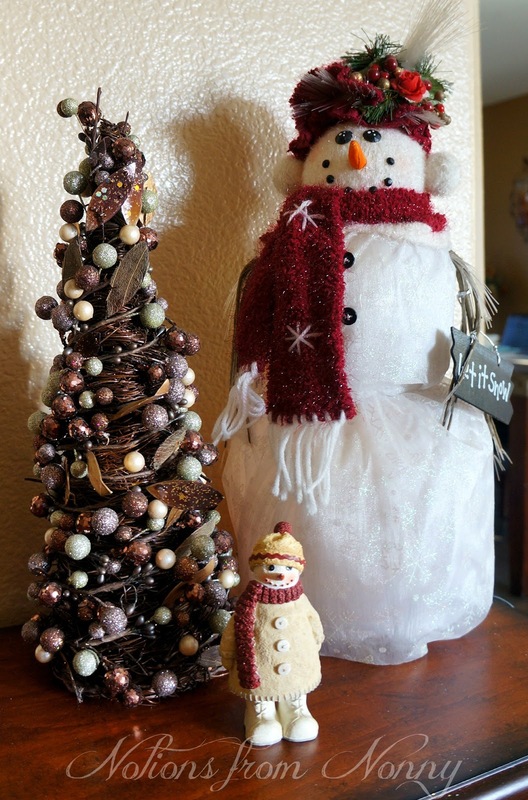 Here is my fiber optic snowman that I didn't put out this year. He just didn't go with my red and bright green Christmas theme from years past. He is perfect now with his blue scarf. 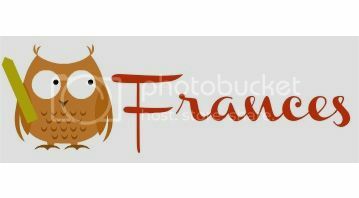 The owl I found half off shopping for after Christmas sales at Target last year. Baby It's Cold Outside.....Here I took an old picture frame and put silver glitter paint to make sparkly like snow. 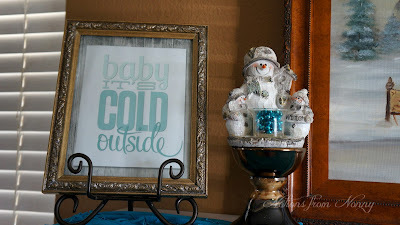 Then printed the Baby It's Cold Outside from online. 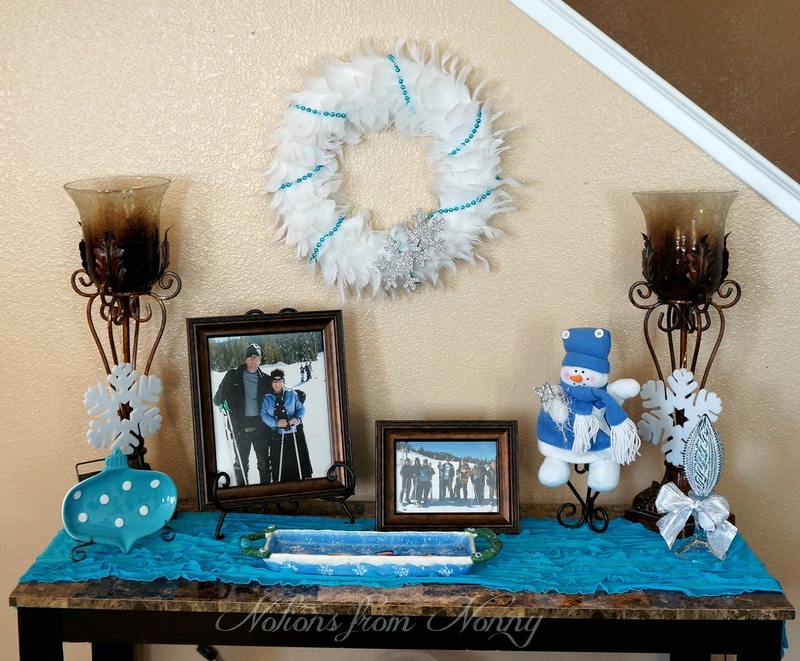 The snowman votive holder was 75% off at Walmart and I added aqua blue mardi gras beads for color. 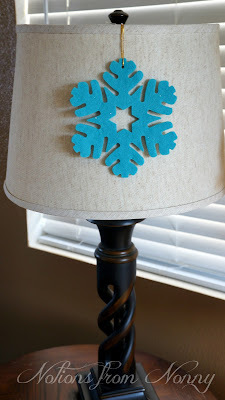 My lamps looked a little blah with all of the blue colors, so I added a aqua blue snowflake. Hanging from the mantle are pretty glitter snowflakes that I found half off at Target last year. 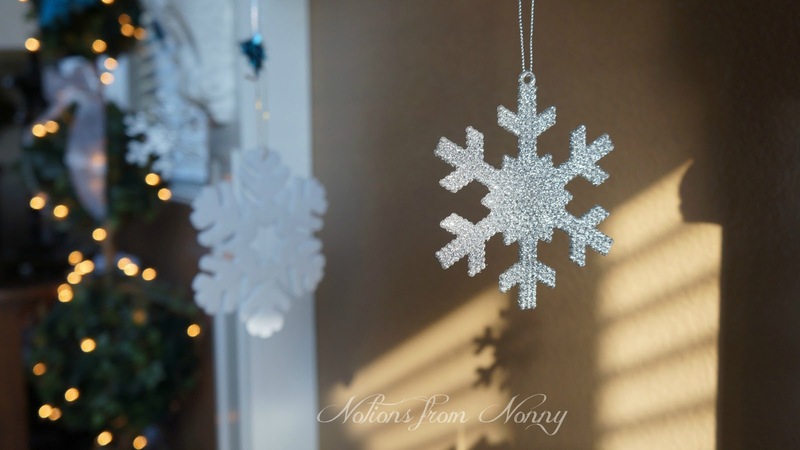 Love the silver bling snowflakes! 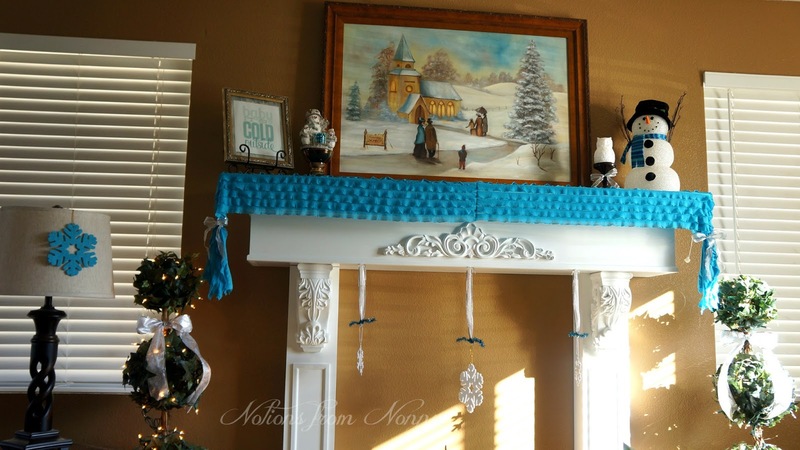 My mantle runner is a piece of ruffle material I had left over from making a skirt. This year I added an old, olive crate from a local farm store. 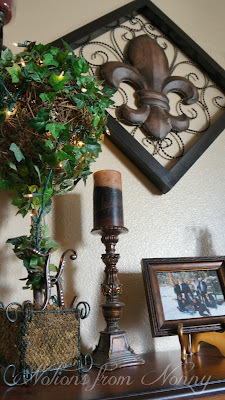 I love the rustic look it adds to my faux mantle. I love having vignettes to display my theme. 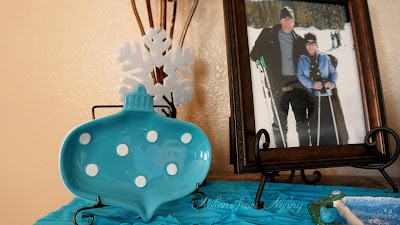 Here is one Winter Vignette I did. I love my white feather wreath that I got at Target for half off. 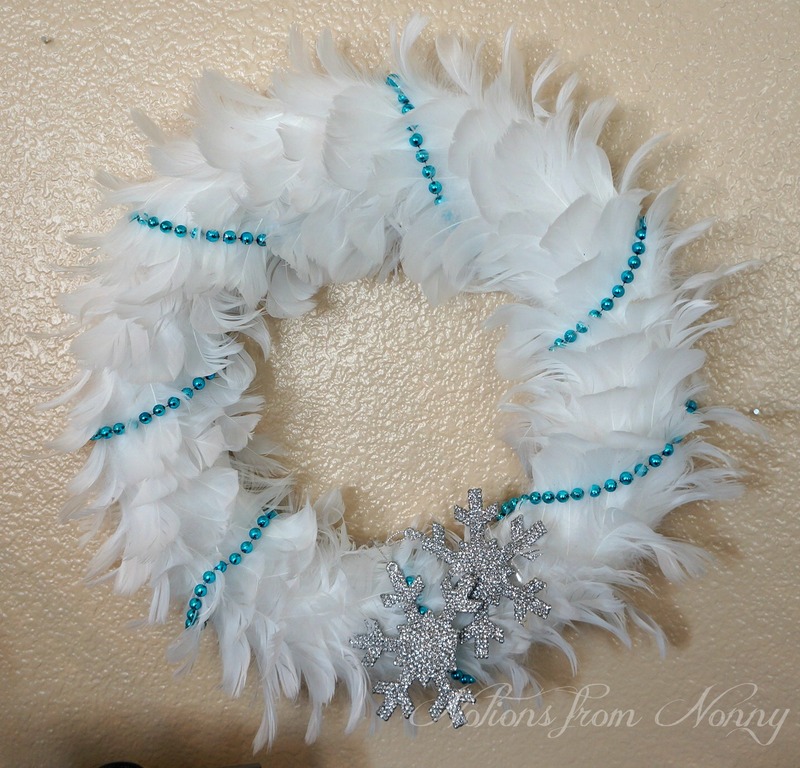 I just added aqua blue mardi gras beads and silver bling snowflakes to dress it up. This polka dot aqua dish is cute. 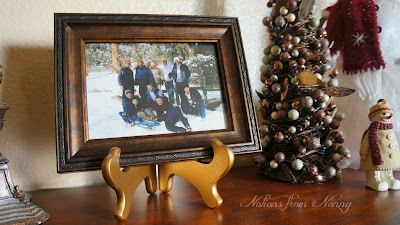 (After Christmas sales) I also incorporated pictures from our ski trip. 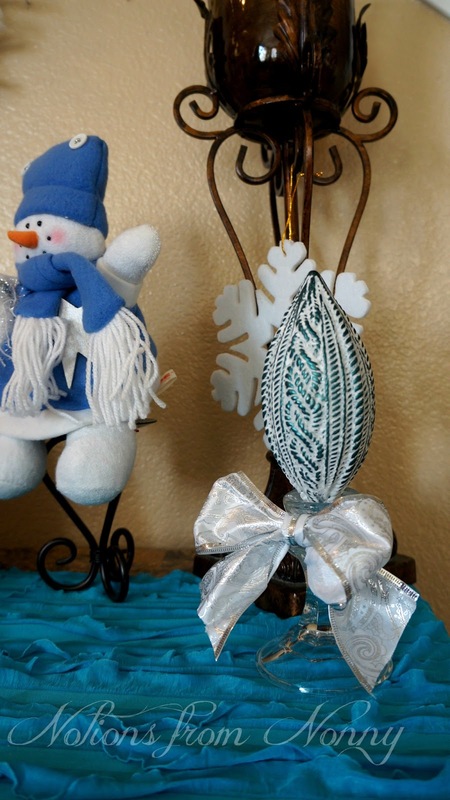 Another Christmas ornament filler on a candle holder. 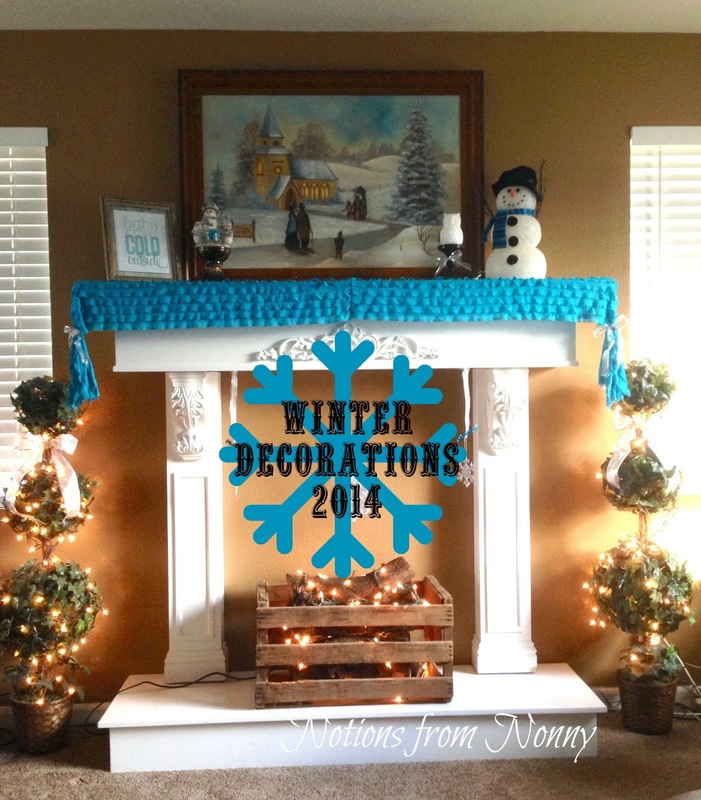 I had a lot fun decorating for winter. 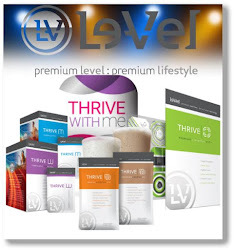 Next, Valentines Day!! I love the winter blues as well. Love the snow pictures! 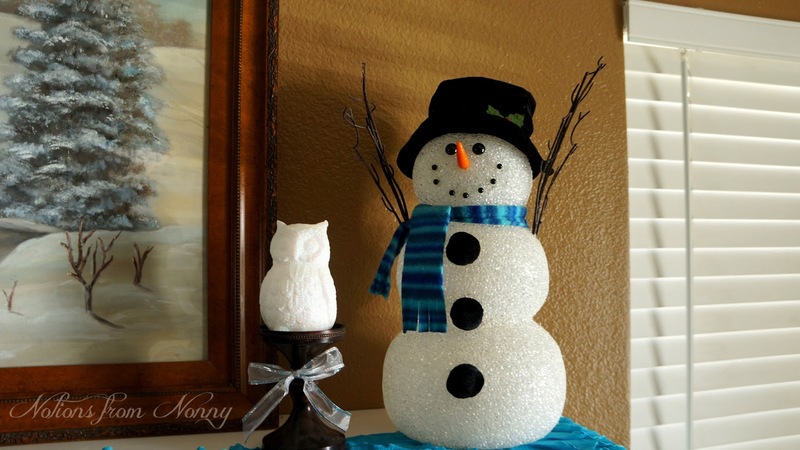 Wishing you some snow! We are visiting Kansas and it is frigid. Snow and negative temps at home in Kentucky. 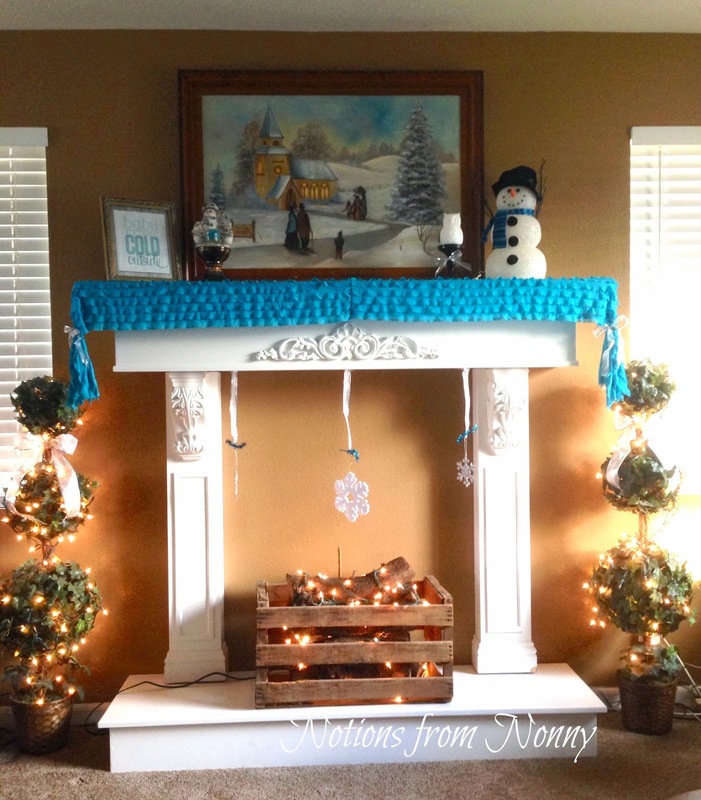 Your decor is so cute!